No procedure is 100% safe - infections or reactions and other complications can arise from even seemingly minor procedures - but the staff at Gully Animal Hospital will take every precaution necessary for the safety and wellbeing of your pet. You are encouraged to discuss any procedure recommended by your Gully Animal Hospital veterinarian regarding benefits and risks. It is recommended that your pet come in for a yearly check-up and blood work. 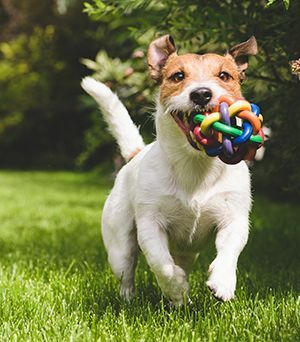 Your Gully Animal Hospital veterinarian will best be able to determine if more or less frequent testing is necessary for your pet's breed, age, or any special needs or medical conditions. Like humans, your pet's oral health plays an important role when it comes to overall health. If your Gully Animal Hospital veterinarian recommends a dental procedure, it may be to treat any number of conditions, like an infection or to correct an abnormal bite that could affect jaw movement, causing pain and a decrease in appetite. A healthy diet is important for any pet. Lethargy, behavior issues, illness, digestive problems, and skin conditions can be linked to a poor diet. Even with a normal, healthy diet, sometimes pets can have specific dietary needs that need to be addressed, like vitamin deficiencies. Your Gully Animal Hospital veterinarian will be able to address your dietary concerns. HOW LONG SHOULD I WAIT TO BRING MY PET IN IF I NOTICE A CHANGE IN BEHAVIOR? Changes in behavior can be a warning sign that something is wrong with your pet. If you notice a significant change, contact your Gully Animal Hospital veterinarian. Depending on the symptoms they might suggest an appointment for further evaluation. WHAT SHOULD I DO IF I NOTICE PARASITES ON MY PET? If you notice parasites on your pet or in your pet's stool, contact Gully Animal Hospital. Your veterinarian may want to see your pet to determine what kind of infection your pet may have and what treatments may be needed. You may also be asked to gather a stool sample. Other pets may also have to be treated, whether or not they are exhibiting symptoms. Be sure to follow up with your Gully Animal Hospital veterinarian. 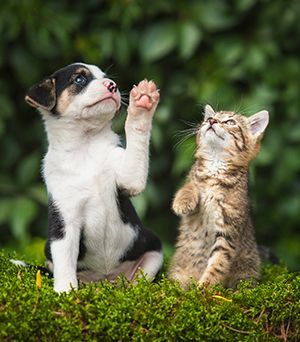 We generally recommend that cats and dogs be spayed or neutered at 5-7 months of age. 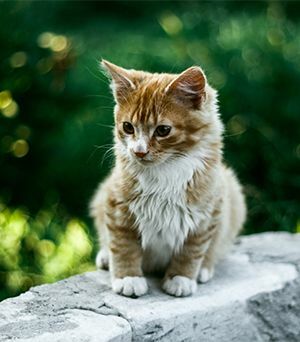 Your Gully Animal Hospital veterinarian will be able to determine the right time for your particular pet and is happy to answer any questions you may have regarding the procedure. Heartworms are a parasite that can be potentially fatal to dogs. Heartworms can permanently damage the heart and other organs. There are many preventative treatments available - talk to your Gully Animal Hospital veterinarian about treatment options. Whether your pet is suffering from illness or injury, pain management plays an integral role in the healing process. Pain management is also critical in end-of-life care to make sure your pet remains calm and comfortable. Your Gully Animal Hospital veterinarian can best assess your pet's needs and prescribe the best course of action for your pet. Gully Animal Hospital accepts all major credit cards. We also accept Care Credit, a healthcare financing credit card. Payment is due at the time services are rendered.